(i) Garden Reach Shipbuilders & Engineers Limited was incorporated at Calcutta on February 26, 1934. The Company is a shipbuilding company in India under the administrative control of the MoD and primarily adhere to the shipbuilding requirements of the Indian Navy and the Indian Coast Guard. In addition to the ship and warship building capabilities, they are engaged in engineering and engine production activities. As a part of the engineering division, they manufacture deck machinery items, pre-fabricated portable steel bridges, and marine pumps. Their shipbuilding division contributes a significant majority of their revenue from operations. They have derived 81.23%,75.10%, 79.09% and 83.33% of their gross revenue from operations on September 30, 2017, Fiscals 2017, 2016 and 2015 respectively from their shipbuilding division. (ii) Over the years, the Company has established capabilities for in-house design and shipbuilding and has made considerable contributions to the indigenous warship construction program of the country. The shipbuilding product line spans from technologically sophisticated Frigates and Corvettes to Fast Patrol Vessels. (iii) In the last five (5) decades, they have built and delivered ships ranging from small to large and advanced vessels including frigates, anti-submarine warfare corvettes, missile corvettes, landing ship tanks, landing craft utilities, survey vessels, fleet replenishment tankers, fast patrol vessels, offshore patrol vessels, inshore patrol vessels, WJ-FAC, hover crafts and fast interceptor boats to the Indian Navy, Indian Coast Guard, MHA and Governments of other countries. They have built and supplied more than seven hundred fifty (750) vessels to carry men and materials as well as for the surveillance of the coastline. (iv) Presently, they have three (3) separate facilities for shipbuilding, all of which are located in close vicinity of each other at Kolkata, India. They build their ships at the Main Works Unit and the Rajabagan Dockyard. The third facility, the FOJ Unit is primarily used for fitting out and repair of ships. They acquired the Rajabagan Dockyard from Central Inland Water Transport Corporation Limited in the year 2006. The DEP Unit in Ranchi is engaged in the testing and overhauling of marine propulsion engines and assembly of semi-knocked down units of diesel engines.The Engineering segment is engaged in the manufacturing and fabrication of portable steel bridges, deck the machinery of ships and marine pumps. 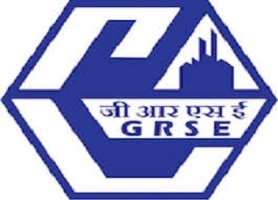 Objective of Garden Reach Shipbuilders & Engineers Limited IPO are: (i) To carry out the disinvestment of 20,046,600 Equity Shares by the Selling Shareholder (ii) to achieve the benefits of listing the Equity Shares on the Stock Exchanges. Our Company will not receive any proceeds from this Offer and all proceeds shall go to the Selling Shareholder. (i) The business of Garden Reach Shipbuilders, in terms of both revenue and expenses, is highly cyclical in nature. (ii) The shipbuilding projects have a typical order-to-delivery period of anywhere from twenty-three (23) to sixty-six (66) months. The longer projects are typically the more expensive projects, and the recognition of revenue and expenses occurs in large parts during the middle period of the project, when expensive equipment and sophisticated systems are installed in the vessels. (iii) The beginning period of a project and the end period of a project give rise to significantly lower revenue and expense recognition as compared to the middle period of the project. As a result, the revenue and expense recognition of the Company is heavily weighted toward five (5) year cycles of one (1) to two (2) year periods of lower revenue and expense recognition, followed by one (1) to two (2) year periods of significantly higher revenue and expense recognition,followed again by one (1) two (2) year periods of lower expense recognition. That is why see heavy fluctuations in the financials of the company in the DRHP in last 5 years. (iv) The company sought to mitigate this cyclic nature through diversification of their product portfolio, but for the foreseeable future, the contracts for construction of naval vessels will result in a continuation of this revenue and expense cycle playing a significant part of the financial results. You must not have received the IPO Allotment. You should feel lucky that you didnt get the IPO in this market situation. See the listing price. I told u that you would be lucky. Can you suggest approximate listing price ..
State Bank of India is not allowing with drawl of this IPO despite the date been extended. Anyone has solution? Call the Call Center and resolve the issue. Very poor response to the IPO. As per price band with discount, can expect for listing gain. Defence contractor. Past performance of defence contractors are not good though thousands of crore order book i. e. Cochin Shipyard, BDL, HAL. I am avoiding this IPO. How Revenue is recognised for Work in Progress Vessels? (i) The Company generally accept orders for construction of vessels to be delivered up to twenty-three (23) months to sixty-six (66) months from the date of the order. So the question here is how Revenue is recognized for work-in-progress vessels. Let us see. “At costs incurred up to the reporting date plus profits recognized under percentage completion method in the proportion, the actual costs incurred bear to the estimated total cost to completion as on that date”. (ii) The aggregate order book as on July 31, 2018, was ₹203,136.10 million, comprising gross order value in the shipbuilding segment, engineering segment and the engine segment of ₹200,294.20 million, ₹851.70 million and ₹1,990.20 million, respectively. Just wait for the Grey Market Activity to star. However, as an IPO is priced at a good valuation so listing gains will definitely be there. The Revenue and Profit have shown degrowth in last 5 years. The Revenue which was close to 1600 Cr in FY13 has reduced to 1525 Cr in FY18. The Profit margins have also gone down from 8% in FY13 to 6% in FY18. So overall performance is not good. The recent listing of Cochin Shipyard IPO which was also a govt entity in the business of shipbuilding is available below issue price. Hence nothing much to entice in the business. As of 31st July 2018, the company has a total debt of 500 Cr. The total equity is 1015.9 Cr. So D/E is .49. ( Quite Manageable). The Company’s clients are Indian Navy and Coast Guard. The shipbuilding division contributes around 80% of the business. The company has a strong order book of ₹20313 Cr as on July 31, 2018, comprising gross order value in the shipbuilding segment, engineering segment and the engine segment of ₹20029 Cr, ₹85 Cr, and ₹1,99 Cr, respectively. The company has three business units namely Main Works Unit, FOJ Unit, and DEP unit. Conclusion- The Pricing has been done at reasonable valuations. It is a pure Offer for Sale of 29,210,760 Equity Shares by the Govt of India at the face value ₹10 each. The Issue is priced at 115-118 with a retail discount of Rs.5 per Share. What will be growth in 1 year? The growth of the company in the last 5 years is negative. So the prediction of the future is difficult.